Save up to 26%, why not try? 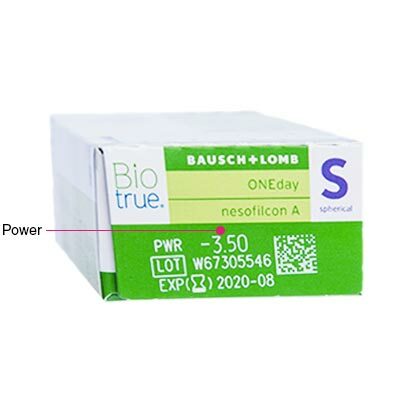 Reputable manufacturers Bausch & Lomb’s use of innovative technology in Biotrue ONEday contact lenses caters to the growing need of a hydrating and comfortable daily contact lens. The contact lenses are inspired by the biology of our eyes, ideal for wearers who spend long hours in front of a computer screen. 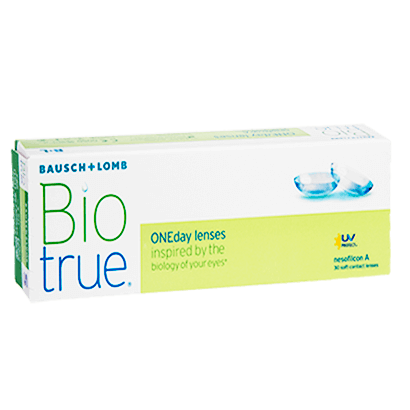 Biotrue ONEday contacts are made with High Definition Optics technology for continuous crisp and clear vision all day, as the structure of the lenses reduces halos and glares. 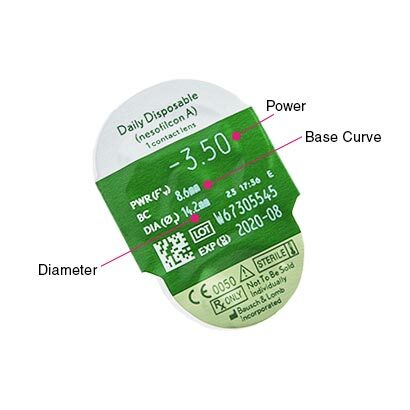 The material of the lens allows more oxygen into the eye, whilst also resisting dehydration, making this a highly breathable contact lens that’s suitable for wearers who suffer dry eyes. The contact lens maintains 98% of its moisture for up to 16 hours, offering a long-lasting daily wear lens that can later be discarded after a full day’s wear. They also feature a light blue visibility tint, used for easy handling. So, you’ll enjoy the convenience and freedom of a fresh new pair every day. Save money ordering Biotrue ONEday contact lenses in our 90 pack size for an even cheaper price at FeelGoodContacts.ie.